It’s Apple & Blackcurrant that are the predominant flavours here, however, there are special twists. 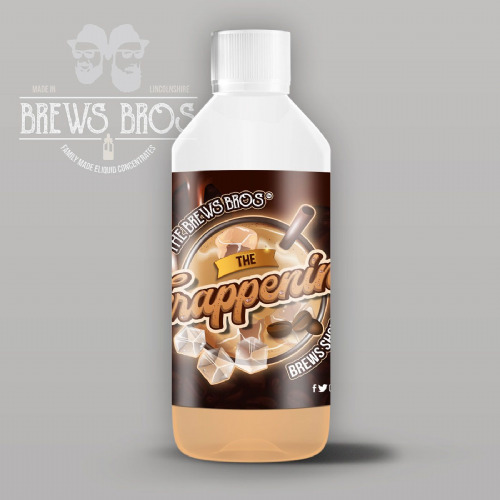 Will you be able to notice them in our Applack flavour eliquid? 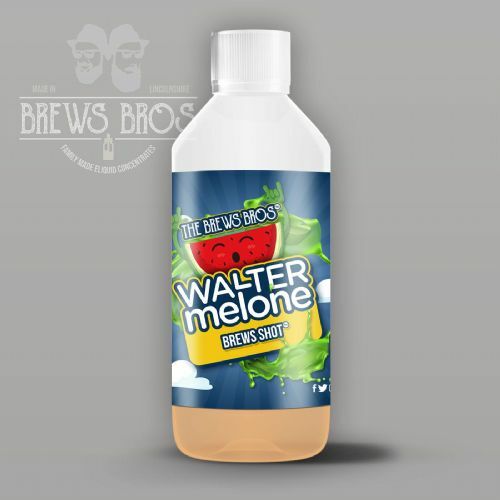 Another beverage vape from the Brews Bros! 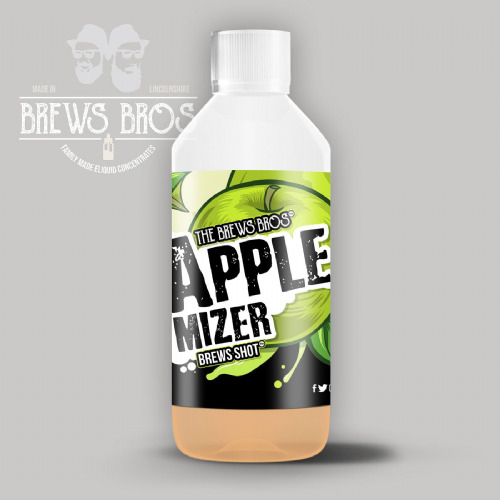 Descended from our ‘Lemonade Bar’ range, comes their best selling Applemizer. 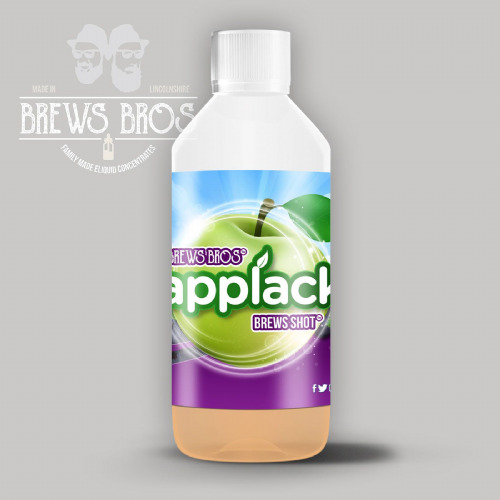 You can’t drink this sour fizzy apple flavour, but it will certainly be appetizing your atomisers. You may have guessed what this is based on by now! 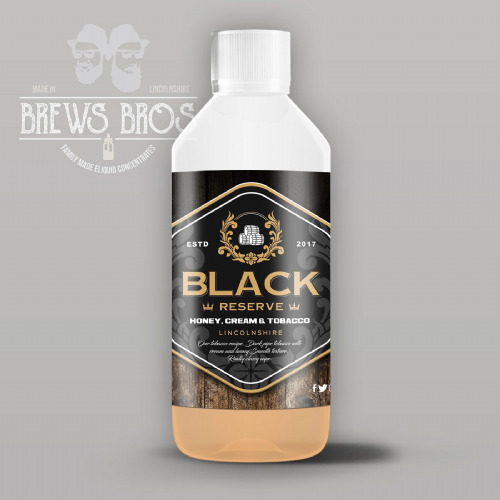 This is a powerful little number from The Brews Bros. Their flagship tobacco recipe, Black Reserve shortfill eliquid is packed with flavour! Black Reserve uses two types of tobacco blended into one concentrate, giving you a multitude of complexity as this recipe steeps. There are touches of cream and honey which make this vape taste like the smoothest dark pipe tobacco. Deep sweet cherry, a hit of sourness, and the unique cooling touch of our own Brain Freeze blend, be prepared for the Cherry Boom! This one's a big hitter. This custard takes inspiration from a delicious Caramel Shortcake from Scotland. Rich, creamy and finished off with a biscuit and caramel touch, it’s just simply divine! Fully deserving of the title Dynasty, we're sure if the queen or any of the royal family decided to have a go, they would agree! Blackcurrant leads to raspberry. Raspberry leads to Brain Freeze. Together they'll lead you to the Darkside. This one's for those who like their flavours sweet and dark, with an icy touch to finish. You’ve probably guessed that they took inspiration from a doughnut, right? Well, you'd be right, and this won’t give you the blues! 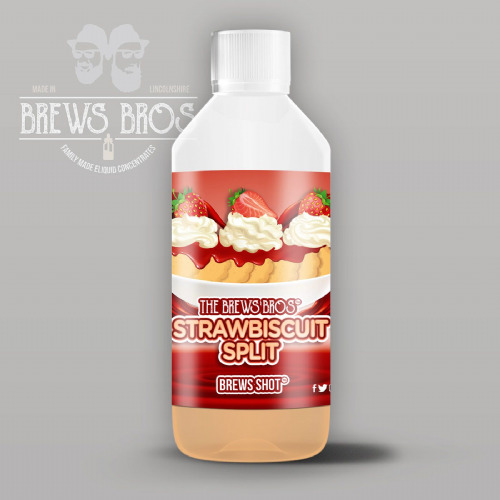 Another sweet snack brought to you by The Brews Bros. 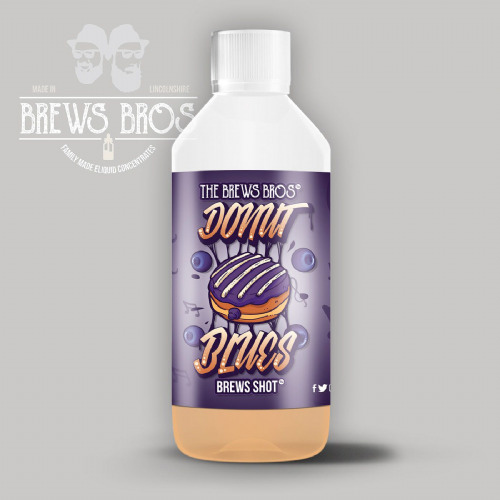 This time taking some Blueberry and stuffing it right into a doughnut. This fluffy doughnut has been packed with blueberries and covered with a dusting of icing to finish it off! So, what’s not to like?! Be transported to the beautiful English countryside, enjoying a delicious picnic dessert of Summer Fruits and juicy Dark Red Berries. The summer sun might not always be shining, but it can taste like it with this perfectly fruity Redem-Shot. Need something light after a big night? A detox is in order, and it's never tasted so good. Be refreshed by the clean cucumber, lifted by the fruity pineapple and mango, and the final dash of mint will leave you feeling invigorated. It’s what people in the UK call a “staple” from their childhood. 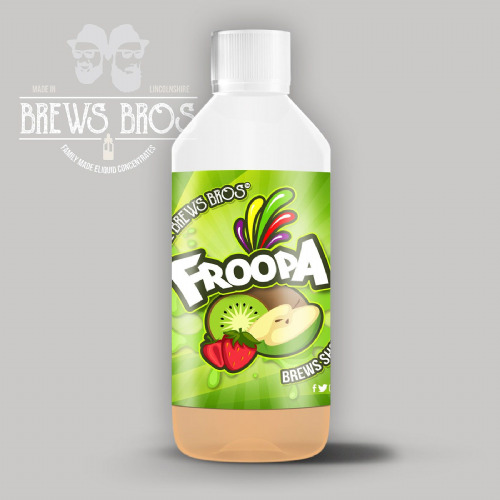 Froopa is our version of Fruit Pastilles and there are at least 4 different fruits, will you be able to guess them? 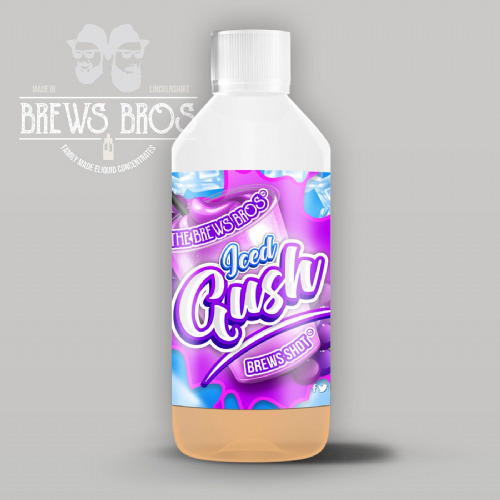 This was going to be one of The Brews Bros original releases when they opened back in November 2017, however, they just needed a little longer to put on the finishing touches. It was definitely worth the wait! 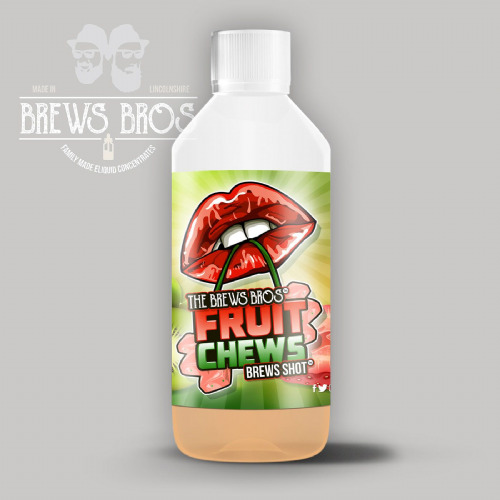 The Brews Bros based this Fruit Chews shortfill eliquid on the mouthwatering Chewits, the delicious chewy sweets that everyone's bound to have enjoyed once upon a time. If not, you’re missing out! When you taste this delicious blend the inspiration is clear, and memories of this childhood favourite come flooding back, but this time as a more grown up guilty pleasure. Creme Brûlée was once called Trinity Cream, and taking inspiration from this, The Brews Bros bring you Holy Trinity, the highest and mightiest of them all! 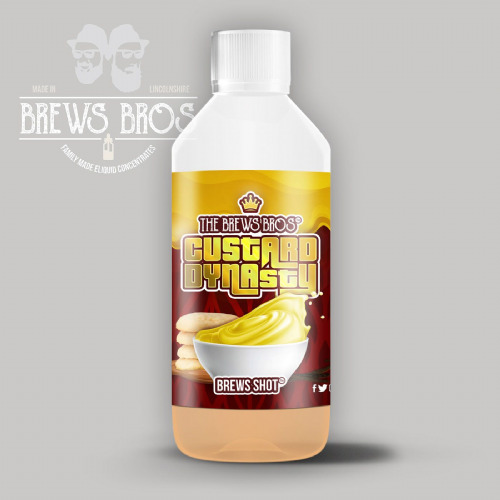 Consisting of a sweet, rich and thick custard base, with Madagascan vanilla scents and flavours, together with a caramelised sugar topping, this one is perfect if you have a sweet tooth! 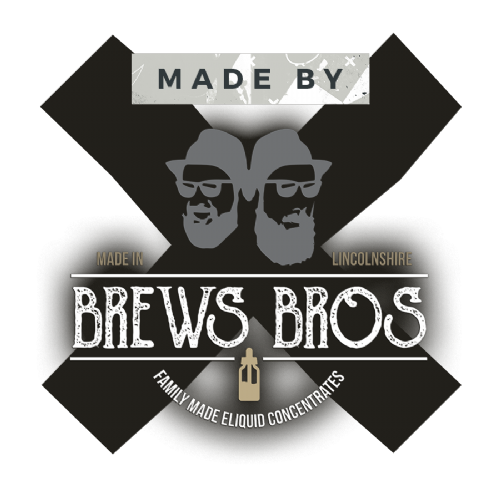 It’s moreish, creamy and sure to be another world class flavour from the team at The Brews Bros. The Holy hand grenade of desserts! The Brews Bros have taken multiple grapes and layered them to precision, with the right amount of extra fruit to make it pop. This slush has the perfect summer vape finish, and takes you back to days enjoying an ice cold grape slush when you were a kid. 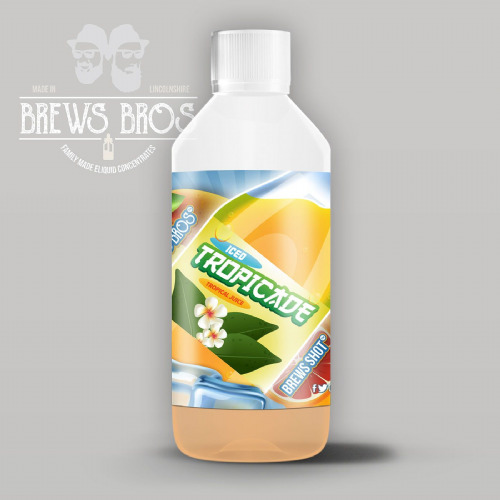 Vaping on this tropical mix takes you to the tropics without even being there! Pineapple, Kiwi, Mango are just some of the elements combined to make this such pleasure to vape! 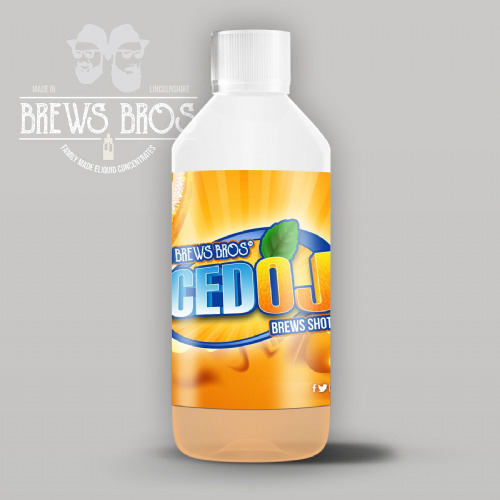 The added cooling element (the superior version of The Brews Bros' standard Koolada) brings an extra fresh texture to this mix. 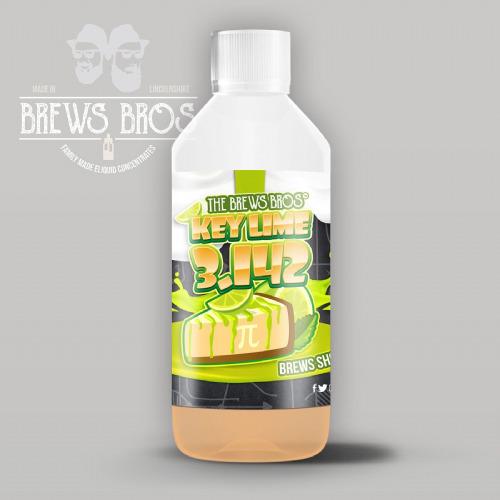 The curiously named Key Lime 3.142 captures flavours from the famous Key Lime Pie, made popular in United States, adored by many in the UK and the world over! It's a sweet and sharp blend that's unmistakeable, both refreshing and indulgent all at once. So, have you figured out that name yet? 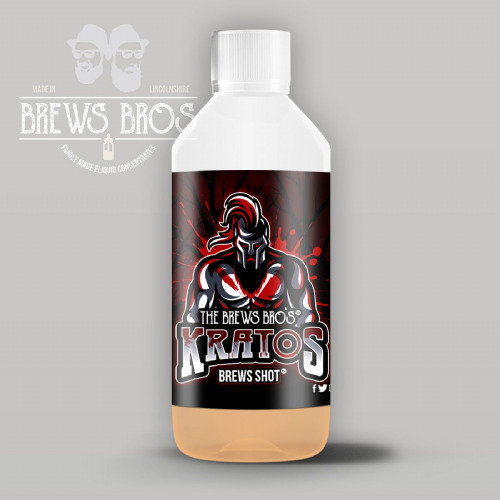 Kratos; The Ghost of Sparta, a truly godly eliquid. 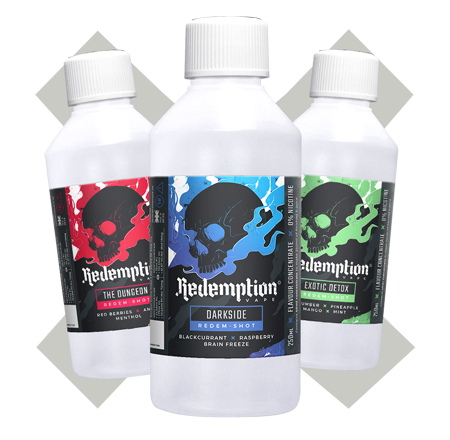 Each bottle contains a blend of god-like power, composed of sweet mixed berries, a citrus burst, aniseed and menthol. This flavour profile is a timeless classic, the stuff of myth and legend, full of flavour, excitement and a winning ADV. 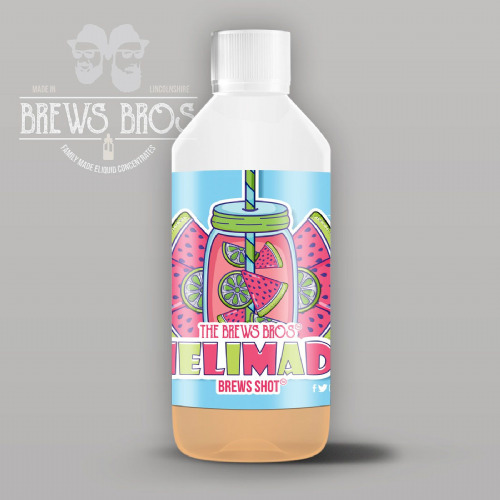 The Brews Bros have taken popular fruits like melon and lime, and combined them to create Melimade. This one has quickly become known for how smooth and refreshing it is. It will take you away to a relaxing place under the hot beaming sun, the pop of lime making the juicy melon base burst! 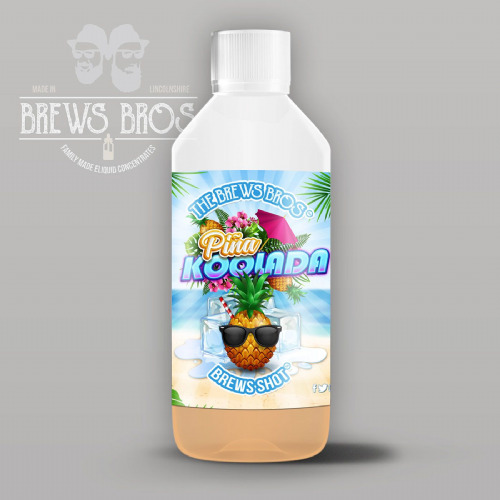 Let Pina Koolada take you away to a tropical climate, in the comfort of your own home. The "Pina" comes from the Spanish word for, you guessed it – pineapple! But if you’re sat worrying that you don’t like coconut then don’t fret! This doesn’t contain any, its merely a play on words, Koolada being a cooling agent! Sweet, crisp and icy, Pina Koolada is an iced pineapple and lemonade drink that’s sure to refresh you all year round! 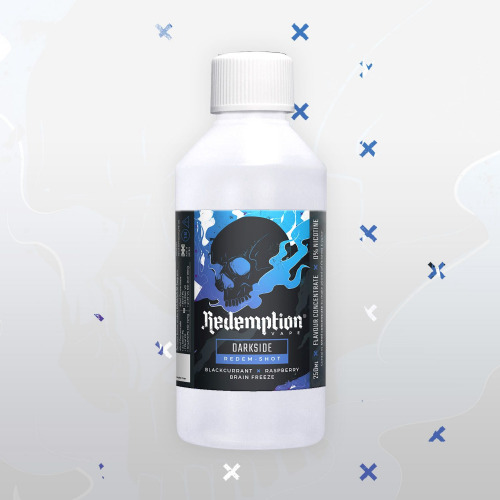 We make plenty of flavour profiles that offer a cool and refreshing hit, but this particular blend takes it to another level. Feel as cool as a polar bear's ice cubes sitting on a glacier. This is another inspiration from the USA, this time a fruity dessert. You’ve got the fresh summer strawberry, the vanilla biscuit, finished with a dollop of cream to make it complete. This is a fantastic mix of fruit and dessert flavours – so there’s many elements that everyone will love! Delve down to somewhere that's deep, dark and cool but oh so sweet. Succulent berries mingle with the unmistakable notes of anise, and are joined by a cooling menthol breeze. This distinctive blend is one for those with a taste for something more sophisticated, and just a little wicked. This is an iced caramel frappuccino consisting of at least 3 very different coffee blends. Will you be able to guess them? A tank full of The Frappening ensures an undeniably perfect start to the day, giving an extra boost when you’re on the go. Begin your day, The Frappening way! Naughty but nice, beautiful yet bewitching. A blend of seductive strawberry, luscious lemon and aromatic anise that will always tempt you back for more.